State politicians from San Diego praised Gov. Gavin Newsom's first budget proposal Thursday, primarily for its dedicated support for expanding housing, affordable education and social services. SAN DIEGO (CNS) - State politicians from San Diego praised Gov. Gavin Newsom's first budget proposal Thursday, primarily for its dedicated support for expanding housing, affordable education and social services. Newsom released his proposed $209 billion budget for fiscal year 2019- 2020, a four percent increase over former Gov. Jerry Brown's fiscal year 2018- 2019 budget, his last in office. The budget includes a $144 billion general fund and a projected $21.4 billion surplus, the largest since at least 2000. On a more granular level, Newsom's budget includes $1.3 billion in one- time funding for housing development projects, $40 million in funding to cover two full years of tuition for first-time community college students enrolled full-time and doubling the number of state residents who have access to the state's earned-income tax credit. San Diego's representatives in the state legislature lauded Newsom's budget for its ambitious funding propositions. State Sens. Toni Atkins, D-San Diego, and Holly Mitchell, D-Los Angeles, called the proposal "outstanding" in a joint statement. Atkins and Mitchell sit on the Senate's Rules and Budget and Fiscal Review committees, respectively. "We are pleased that the governor shares our commitment to investing in early childhood and higher education, affordable housing, alleviating poverty and homelessness, expanding access to health care, paid family leave and the Earned Income Tax Credit, and overhauling California's emergency preparedness," Atkins and Mitchell said in the statement. Newsom also earmarked funding to assist undocumented immigrants and asylum seekers who have recently entered the U.S. as well as the humanitarian organizations that support them. In a visit to the Otay Mesa Immigration Detention Center Nov. 29, Newsom said the state needed to exert more effort to support recently arrived immigrants, who often lack proper support networks and can end up homeless in areas like San Diego and Imperial counties. "My constituents have seen an influx of migrants being dropped on San Diego streets by federal officials without the support system to help them," said Assemblyman Todd Gloria, D-San Diego. "I want to particularly thank Gov. Newsom for including $25 million (including an immediate $5 million) to assist our community-based organizations in providing services to address this crisis." The budget includes an attempt to take an ax to the state's unfunded pension liabilities as well, allocating $13.6 billion to eliminate budgetary debt, build reserves and pay down pensions. According to Newsom's office, such spending supports the state's financial foundation and protects against possible economic strife. "To make the California Dream available to all, our state must be fiscally sound," Newsom said. "This budget lays a strong financial foundation for our state by eliminating debts, expanding the rainy-day fund and paying down our unfunded liabilities." Newsom's office and state legislators will negotiate the budget's details through June, when the final budget must be submitted. 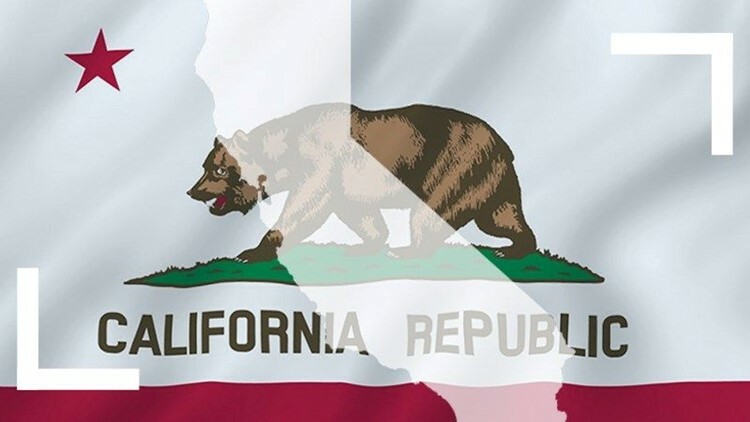 California's 2019-2020 fiscal year begins July 1, 2019.